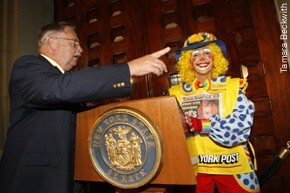 If you are searching for a quality party clown in Westchester NY, Fairfield CT, the Bronx, NYC, or any of the surrounding areas for your private party or corporate event, Sunny the Clown of Yonkers would be happy to speak with you. Sunny will respond to all calls, texts, and emails!! !